The crowd-funding project, which has already surpassed its original $25,000 goal, will send its members a kit full of electronic parts every month so you can build DIY projects - the first being a Wi-Fi enabled robot. No really, an actual robot. Pretty neat, huh? 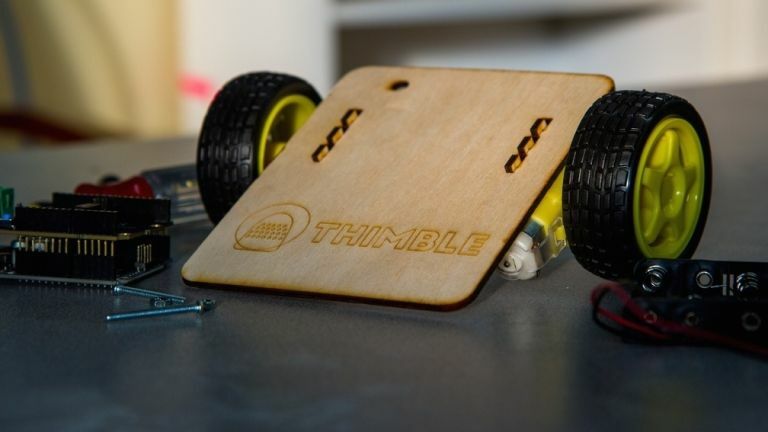 The idea is Thimble will send you different elements of a project each month enabling you to construct and code your robotic pal over time, with subscriptions up to 12 months being offered. There will also be the option to purchase the entire set of parts for $59, if the idea of waiting for each portion to arrive fills you with dread. Thimble is also hoping to build a community of users that will foster a pool of tips, tricks and innovations of their own. The 17-part robot system has already proved a hit with Thimble already breaching the $100K mark on its official Kickstarter page, with those $59 Early Bird kits selling like hot robotic cakes. The campaign already has over 40 days left on its clock so if there's a budding engineer in your family, this might be the perfect gift idea.